Whether you are planning to upgrade your dental practice with latest technology or you are just about to start your professional career: iOptimaINT is the All-in-One solution offering you the full range of treatment options seamlessly integrated into your dental chair. 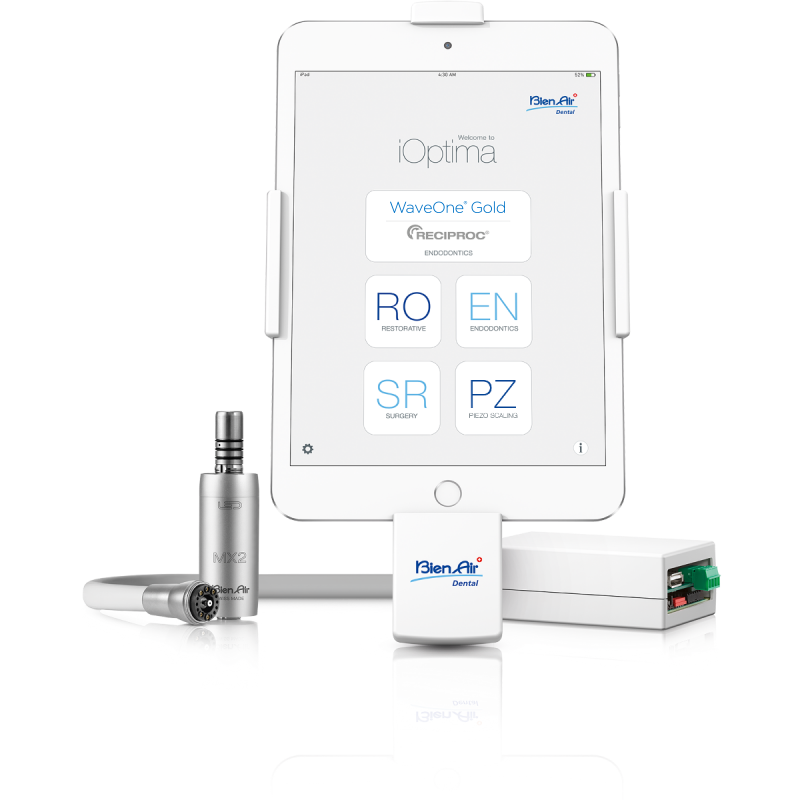 No need for additional equipment anymore: iOptimaINT lets you perform your restorative procedures, endo treatments (incl. reciprocating mode) and surgical procedures incl. implant placement. A Piezo scaling function is included as well. 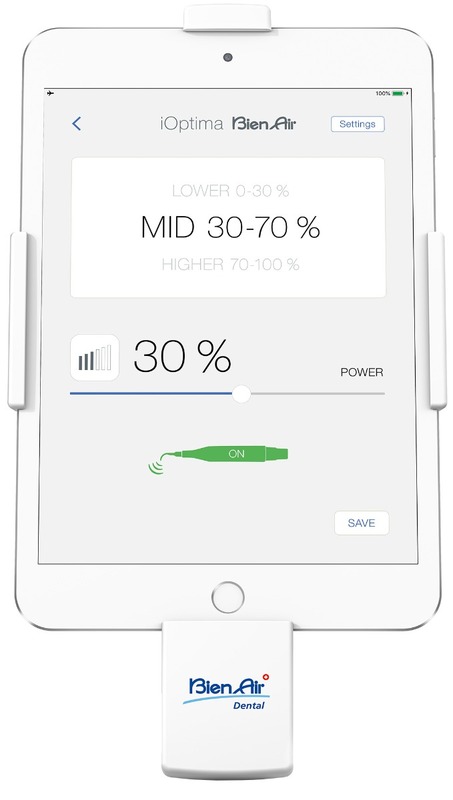 Installed directly into the existing dental unit, the system is easily controlled through an Apple® tablet. The iOptimaINT therefore requires minimal space and guarantees a perfectly functional working environment. 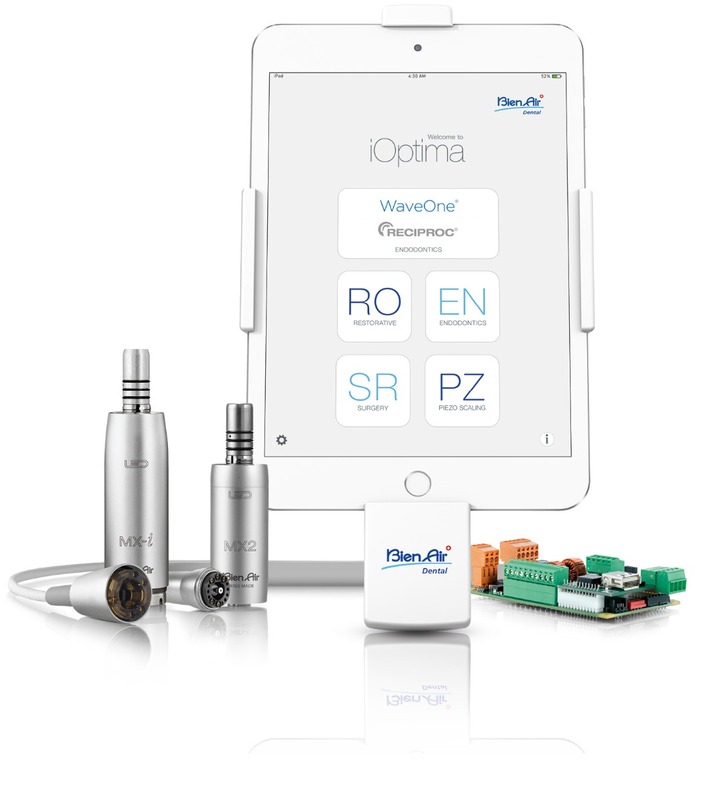 Discover the iOptimaINT, the All-in-One solution for general dentists..
working environment is fully operational. Coupled to the iOptimaINT and the MX2 motor, the new Bien-Air Dental CA ENDO contra-angle has been specially designed for root canal treatment in continuous as well as reciprocating mode. 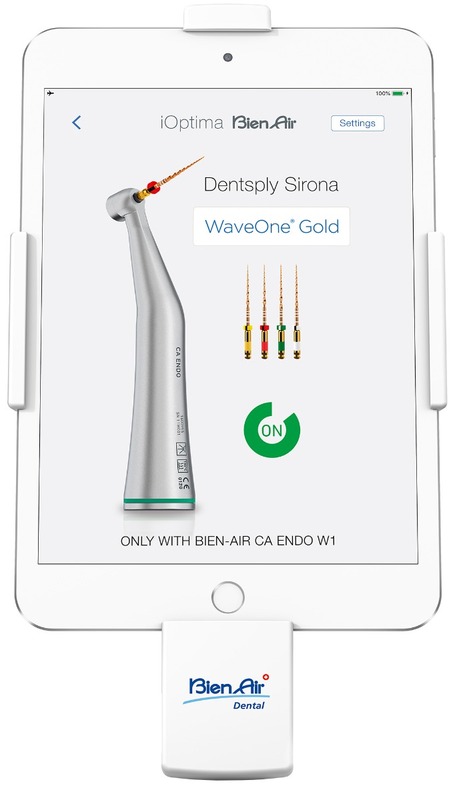 It is therefore fully compatible with standard endodontic files as well as with WaveOne Gold files by Dentsply Sirona Inc. In addition, its small head ensures optimal handling and improved visibility of the surgical field. 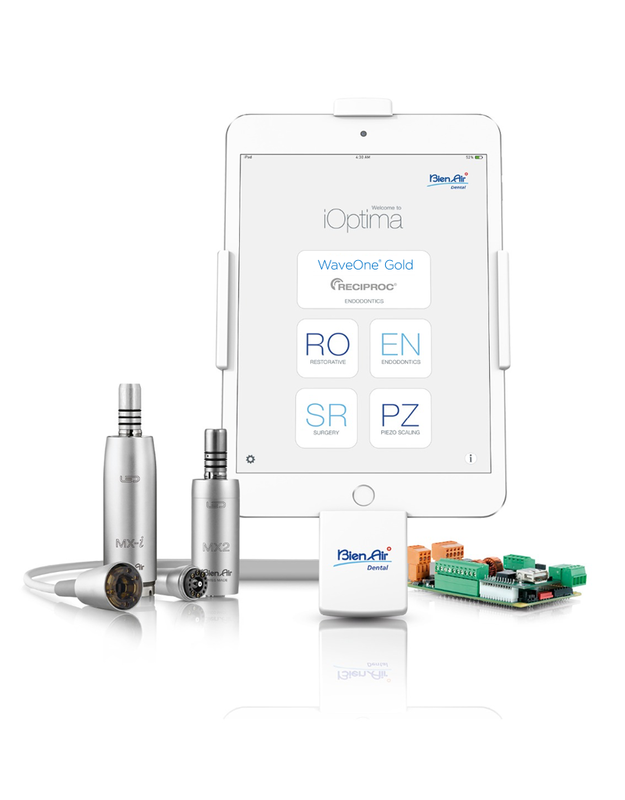 Make your root canal treatment procedures simpler with the WaveOne Gold (Dentsply Sirona Inc.) reciprocating mode. Thanks to the reciprocating movements, the file respects the original root canal anatomy and reduces the risk of instrument fracture. Your endodontic procedures become safer and faster. The WaveOne Gold feature are optional. Thanks to its multiple advantages, the combination of the iOptimaINT, MX2 micromotor and EVO.15 1:5 contra-angle allows you to carry out all your restorative work, from cavity preparation to finishing and polishing your filling. With advanced electronic management, the MX2 micromotor is extremely stable and powerful, even at low speed. Combined with the EVO.15 1:5’s revolutionary file chuck system, this motor/contra-angle set ensures vibration-free procedure with unmatched accuracy. Driven by the iOptimaINT, the MX-i micromotor combined with the CA 20:1 contra-angle offer you the best technology for all your surgical procedures. 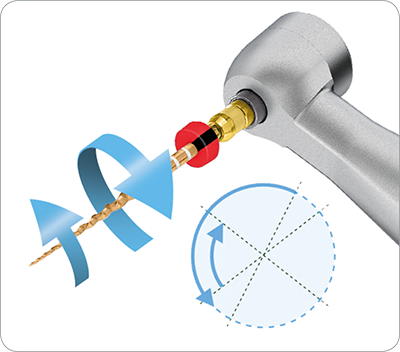 While the MX-i’s high torque will overcome all your implant procedures, the CA 20:1’s internal irrigation system will help you avoid discomfort when handling the instrument. Built directly into the dental unit, the iOptimaINT system can be controlled either using an iPod touch or an iPad mini. The refined simplicity and user-friendliness of these tablets will enable you to focus on what matters the most: your patient. 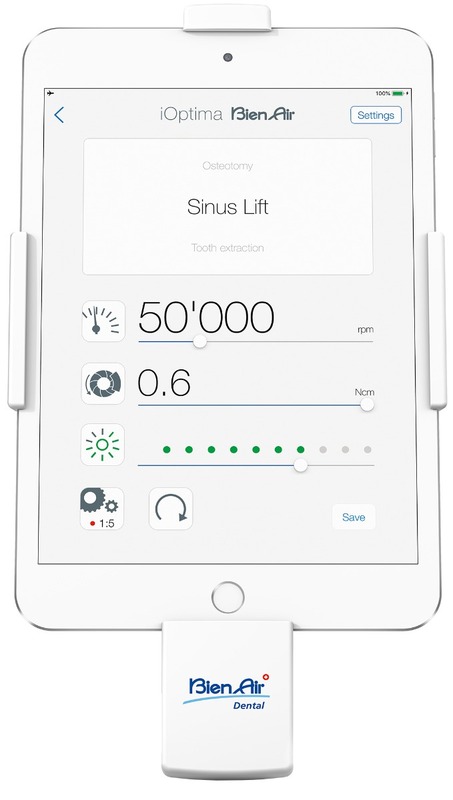 In addition, the numerous pre-set and customizable protocols of the iOptimaINT App will make your procedures considerably easier. Let us guide you! 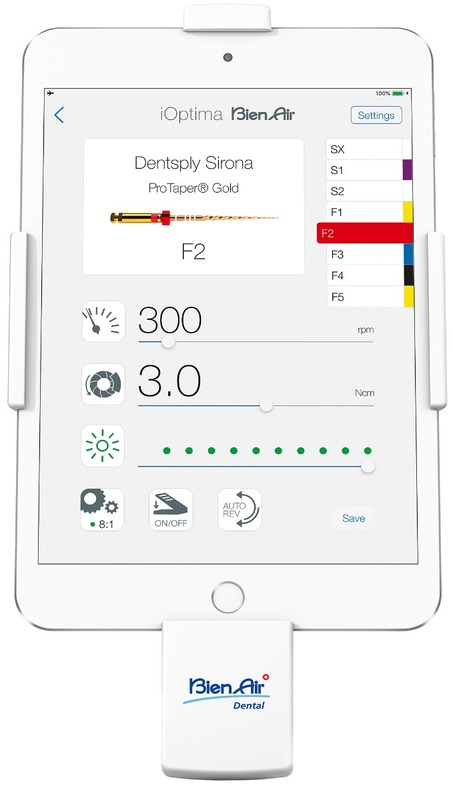 The iOptimaINT offers numerous pre-set protocols for the most commonly used endodontic file manufacturers. 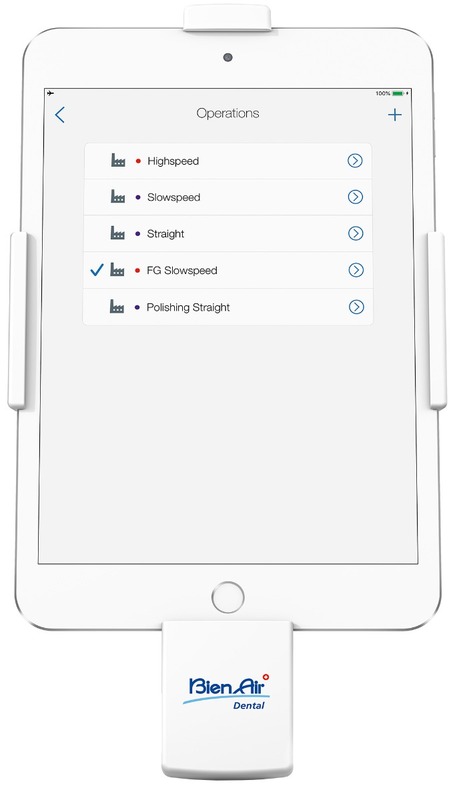 Select the brand and file type for instant access to the pre-set parameters (torque, speed, rotation mode, etc.). 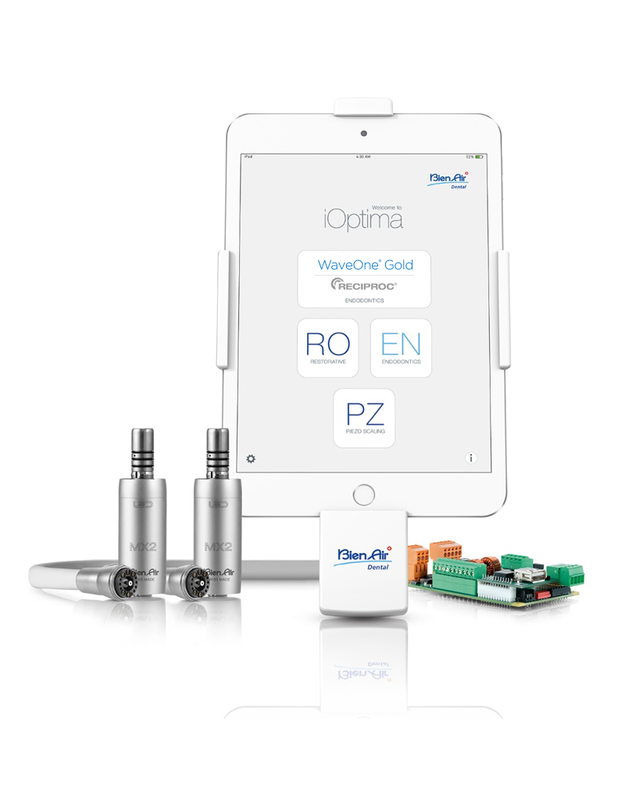 Bring your endodontic procedures with the WaveOne Gold reciprocating mode. Thanks to the reciprocating movements, the file glides smoothly along the root canal and reduces the risk of instrument fracture. Thanks to its numerous pre-set protocols, the iOptimaINT system can be used to easily perform a wide number of restorative procedures: treatment of caries, dentin reduction, hemisections, crown preparation, etc. From pilot drilling to implant placement, from osteotomy to tooth extraction, simply select the desired procedure and implant type and follow the pre-set surgical protocols. Select the scaling function to switch to dental hygiene with just one click. 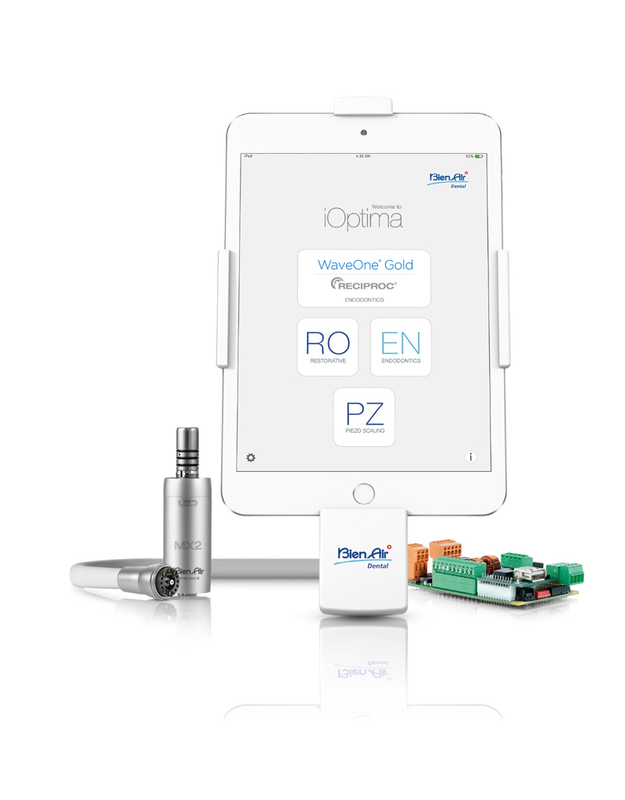 The iOptimaINT system is fully compatible with most Piezo scaling devices. 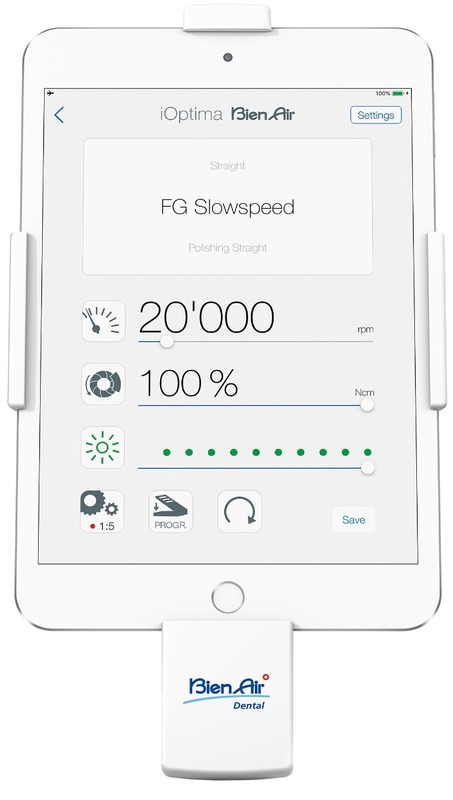 All of the parameters, most importantly speed and torque, can be customized and stored before or during each procedure. The iOptimaINT also gives you the possibility to define and save your own parameters. 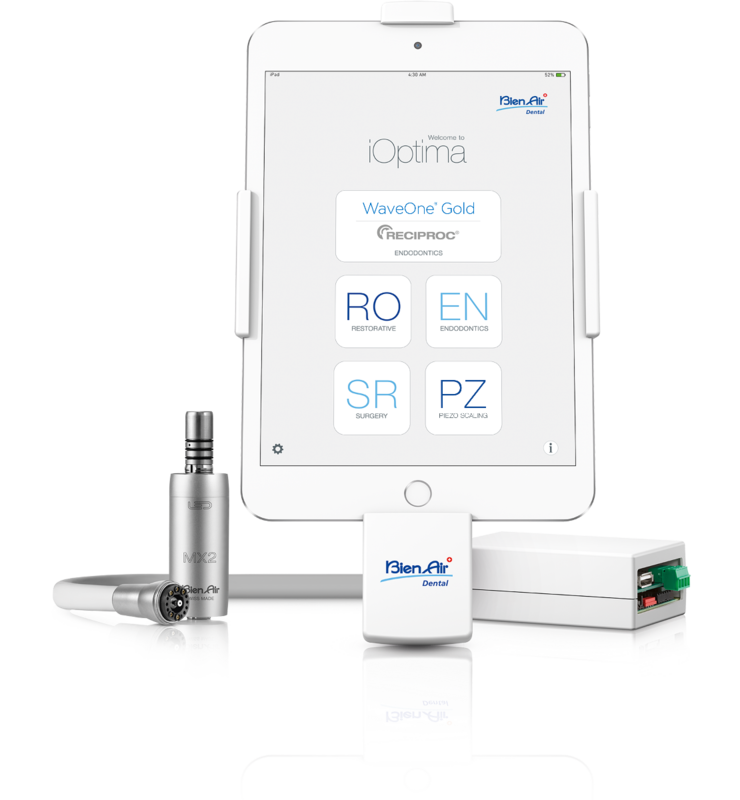 Activate WaveOne® Gold on your iOptima INT system! Distributed exclusively by Tulsa Dental Products LLC DBA Dentsply Sirona Endodontics. Once you receive your starter-kit, please enter the license code on the WaveOne Gold activation page. Take advantage of the iOptimaINT’s extreme versatility and customize your system according to your needs. For more information, please contact Bien-Air at +41 (0)32 344 64 64. * “Oral surgery and implantology” and “Piezo scaling” features will be available in early 2019.